As Augusta's #1 Leading Medium Duty Truck Dealer, we offer the highest quality service for the best price in the CSRA. Our staff is OEM / ASE certified and factory trained in the latest technologies. 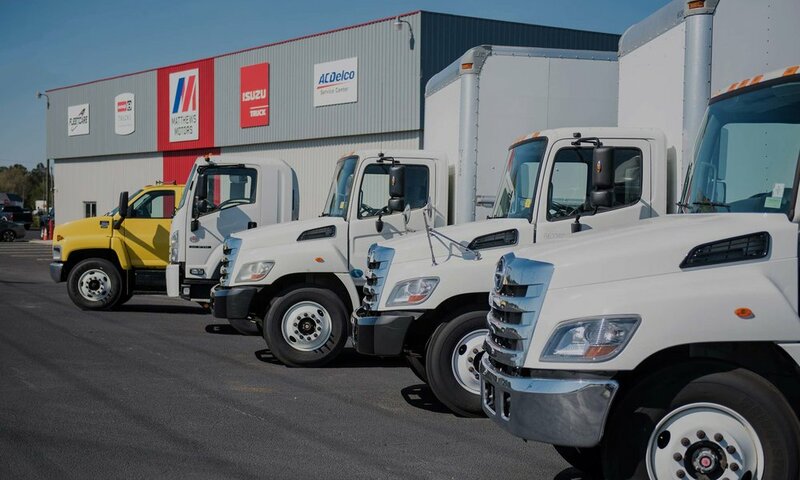 We are an authorized dealer for Isuzu Trucks and Hino Trucks (A Toyota Group Company) as well as an ACDelco Professional Service Center. We provide a wide variety of parts and services including truck repairs, trailer repairs, automotive repairs, preventive maintenance, DOT inspections, DPF cleaning, emergency road service (24/7), towing, truck wash/detailing, etc. in our newly renovated 24-bay service repair shop. No matter the vehicle, we can fix it. Call today to get started! 1. Take care of people. Providing services with urgency, excellence and integrity.